for the beginner as well as the experienced rider. Our horses are well accustomed to the trails we ride. We also offer the option to cook for yourself or to have our experienced cook prepare the meals for you. Delicious meals, which range from a well-rounded hearty breakfast, lunch, or dinner to delicate entree of mouth-watering fresh pan fried cutthroat or rainbow trout. Nothing like it this side of the Rockies! 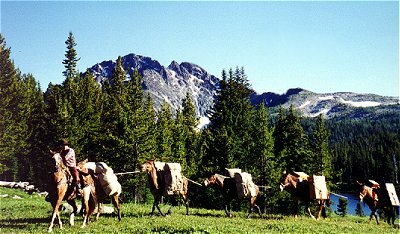 We have purchased North Cascade Safari and are pleased to offer additional areas and Lake Chelan Sawtooth Wilderness as well. The North Cascades provide some of the finest scenery in the world. Travel horseback through the wilderness and enjoy a breathtaking view around each bend of the trail. Splendid waterfalls, clear mountain streams, and snow-capped peaks await you. 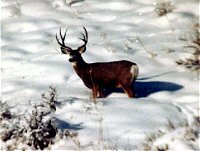 The Pasayten Wilderness is plentiful with mule deer, black bear, mountain goat, and grouse. Our average day runs from 6-15 miles riding. With plenty of time for fishing, hiking, and photography or just relaxing around the campfire. For those individuals who wish to hike, we guide and move your gear at your pace. For our photographers we offer a trip that enables you to capture some of the most beautiful peaks, rivers, lakes, wildlife and wild flowers in the Pacific Northwest. From a misty morning forest sunrise to the excitement of spotting that large four point buck just around the bend! The Northwest with all its beauty, splendor and majesty offers unlimited subject matter for the novice as well as the professional photographer. Not many areas can boast the fishing of the Pasayten Wilderness. The Pasayten Mountain Range is a banquet of fish: big fish, little fish, and a few big monsters for good measure. For fishing we offer Day Trips or Progressive Pack Trips. On day Trips we hit some of the closer streams and lakes netting nice sized rainbow and cutthroat trout. One the Pack Trips we hit several lakes and streams, which enable you to fish at early sun-up and also in the evening. 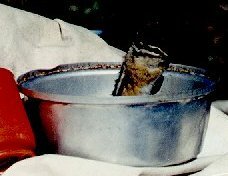 Click on the chipmunk to see a list of gear to bring!